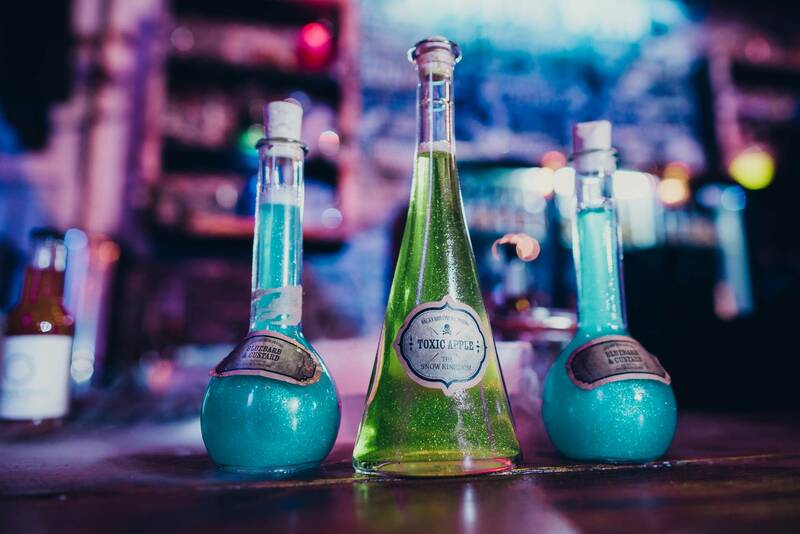 In recent years London has become obsessed with themed & immersive experiences. For example when going to see a film – it’s just simply not enough go to the cinema one evening and sit in the dark with popcorn. 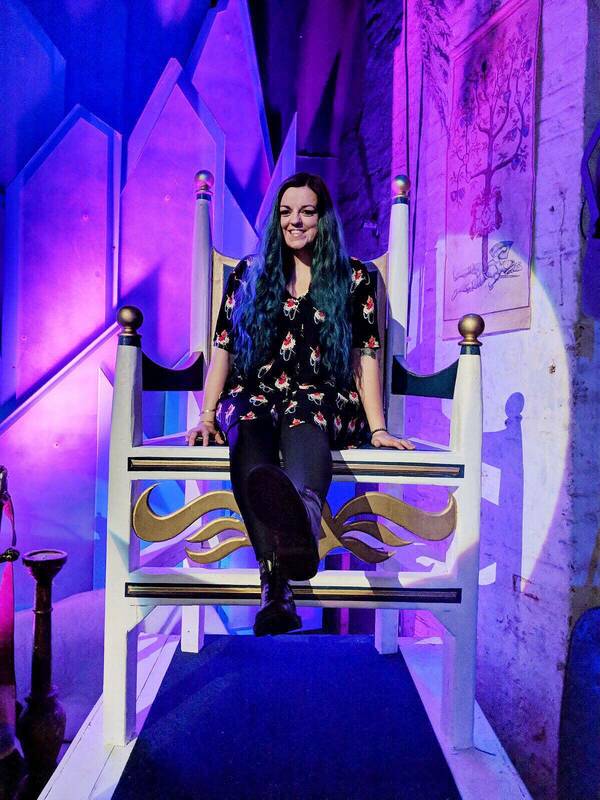 We want props and decorations and there are some companies absolutely owning fun immersive experiences in London. Backyard Cinema is one of them. Last month Backyard cinema celebrated their one year anniversary after being created by two best friends and starting, well, in a backyard! You might remember them as the company who were showing Jurassic Park in a themed experience they called ‘The Lost World’. Since then, they have done a plethora of themes including Winter Night Garden, Miami Beach, Backyard Studios, the Last Chapel and now for the winter season: Snow Kingdom! After hearing great things from numerous people, I was invited along to the friends and family launch of their new, slightly more festive theme. Although that being said, there was no Santa, elves or Christmas Trees in sight (phew). 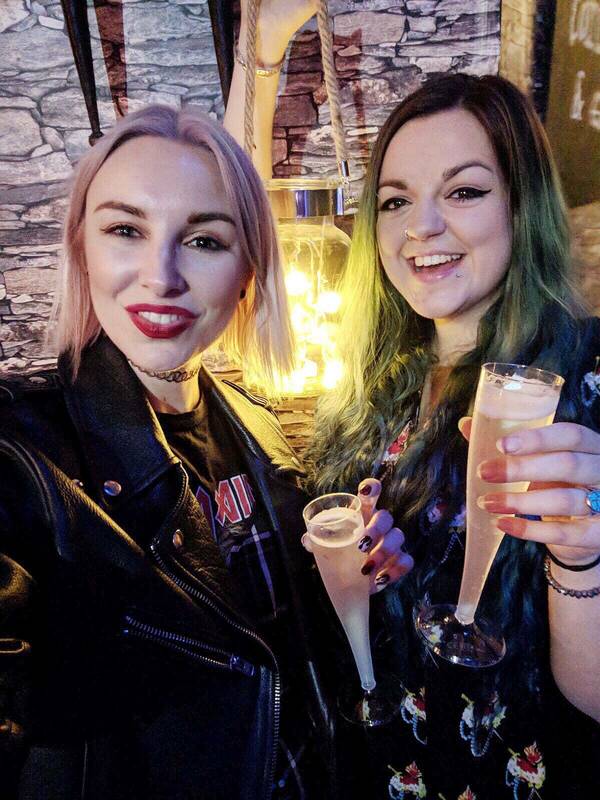 I took the lovely Kitty Cowell with me, and bumped into fellow blogger babes Leigh (foxandfeatherblog.com) & Sophie (popcornandglitter.co.uk). On arrival we were handed a giant lantern, as well as two tokens for food and drink and directed through a rather mysterious looking opening in the side of a castle. We walked through to find what looked like the inside of a glacier with a frozen lake & a rickety bridge, before emerging out the other side to a glass of bubbles – lovely! The bar to grab your drinks and snacks is at the back of the room for so if you’re thirsty or peckish during the film, you won’t miss a thing. There were some themed cocktails available: Bluebarb & Custard: a gin based cocktail with rhubarb and vanilla, and Toxic Apple (which I opted for): a vodka based cocktail which was toffee apple flavoured. We were also able to keep our bottle after which I was happy about! Snack wise it was quite limited in terms of vegan options – I had a bag of salted popcorn but they also had other things available for non-vegans. The film they were showing this particular evening was the new Beauty & the Beast starring Emma Watson. I had seen the film before in the cinema with my mum but enjoying it on a bean bag with a sparkly cocktail in hand felt so luxurious! 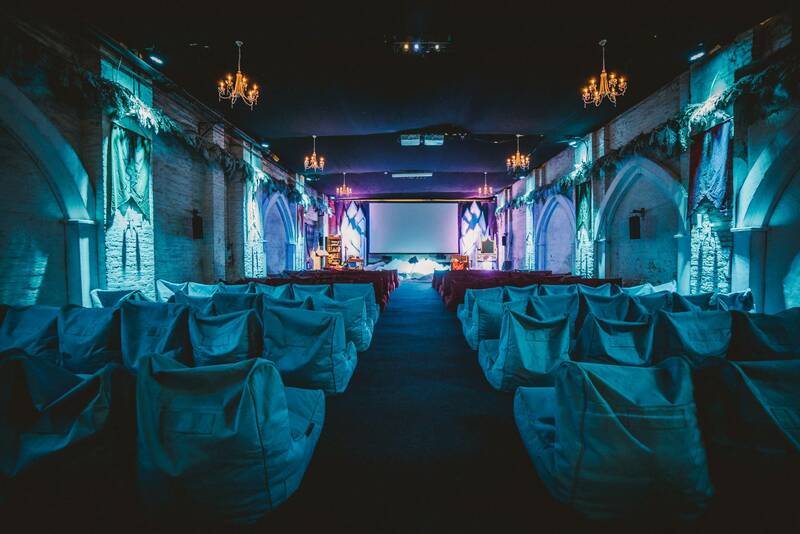 The Backyard Cinema is located in SE1 between Borough and Elephant & Castle tube stations. Before heading into the cinema you can grab some food from one of the selection of vendors available at Mercato Metropoliotano (which includes a few vegan friendly options too – I was pleasantly surprised!) although just to note food bought there can’t be taken into the cinema room. 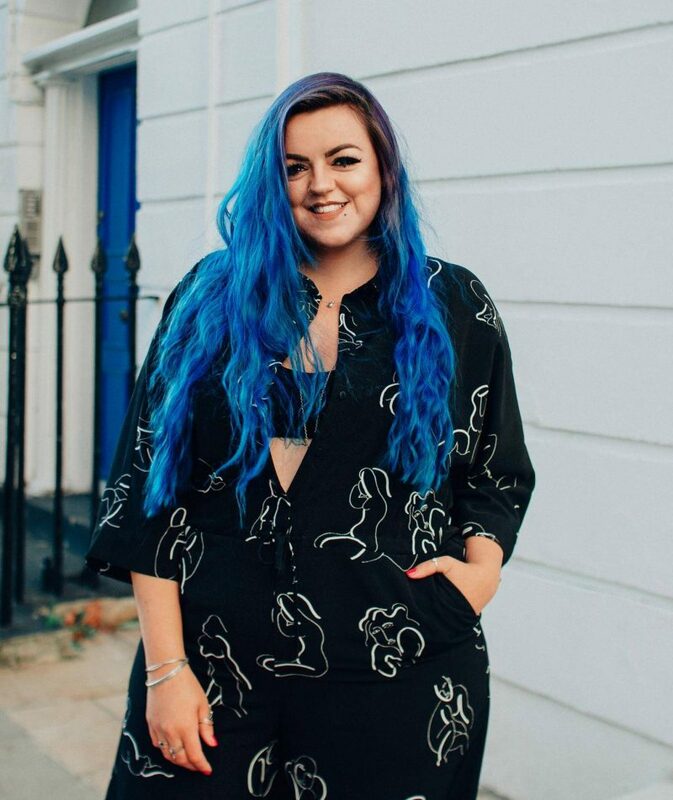 With that in mind I’m super excited to say I received my Golden Ticket last week (alongside some cute Polaroids), meaning I am now part of their new blogger programme. You’ll see some more posts about the cinema on my socials, including my thoughts on different theme iterations (can’t wait to see what they do next year)! I really had such a fun evening. 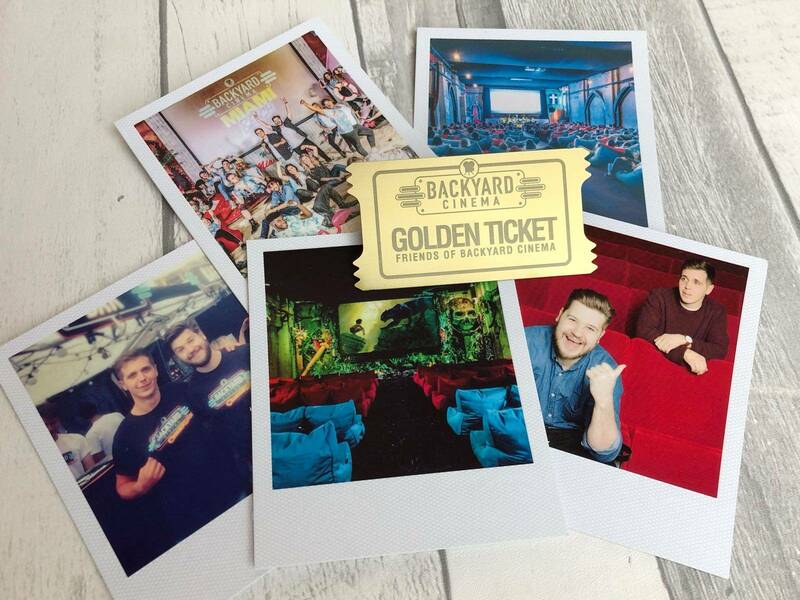 Backyard Cinema is perfect for a fun relaxed evening out with friends, or even date night. It’s certainly a nice excuse to see one of your fave films on a big screen in a cool environment, or finally see that film you’ve heard so much about but don’t fancy watching at home on a small screen. 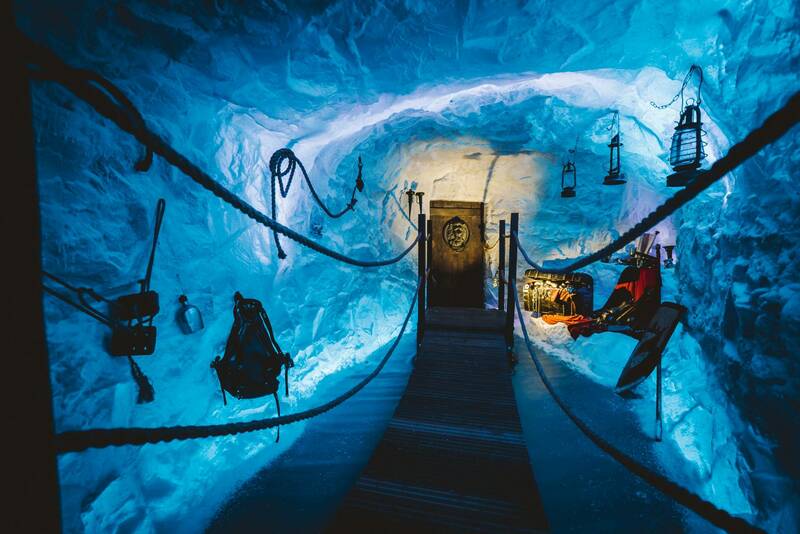 I’m not sure about you, but if there’s a fun route in somewhere (ya know like walking through an ice cave over a frozen like carrying a lantern) and a themed room with fun and unique cocktails, and bean bags, I would certainly more inclined to go. If you’re intrigued, the films they’re playing during this Snow Kingdom theme are mostly magical, winter-y or festive (understandably it is almost December after all)! For a full list of the films showing during the Snow Kingdom season (which is on throughout December and January) + to get your tickets, check out Backyard Cinema’s website here! P.s. There’s also another Backyard Cinema in Winterville, Clapham if you want something a little further south. 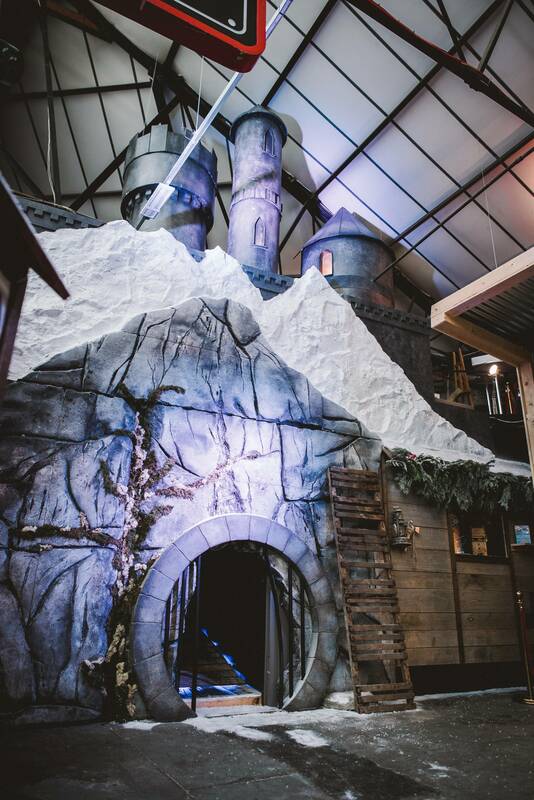 Here, to get into the screen you enter through a “magical wardrobe, down a secret tunnel of trees into a beautiful enchanted woodland”, which sounds pretty damn cool! If you enjoyed this, why not check out my blog about The Bletchley – London’s first code-breaking bar, or ABQ London – the Breaking Bad bar where you cook cocktails in an RV!